- A 12mm thru-axle for use with BOB Trailers. 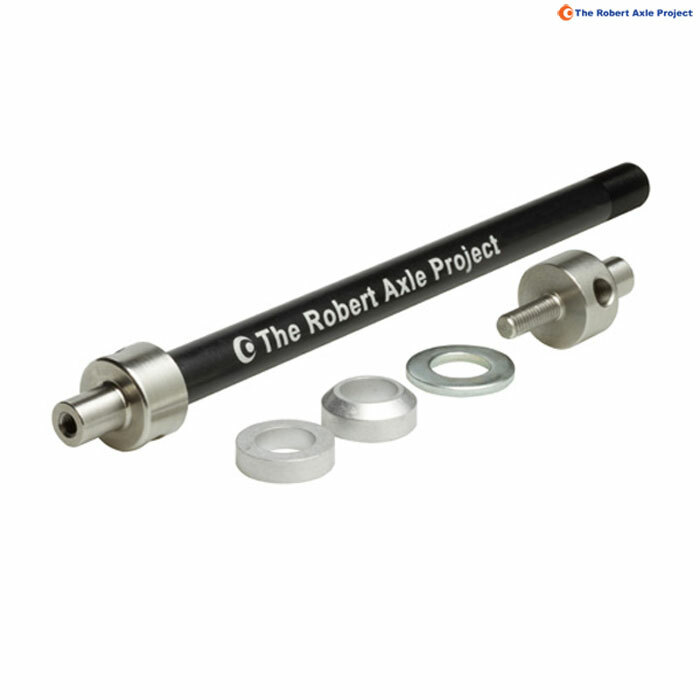 - Axle shaft is machined from 7075 aluminum and hard anodized. - Designed, built and tested in the USA. - Endorsed and approved by BOB Gear. - Hardware Included: Flat washer and removable conical spacers for fit. Can I Use This Product With A Specialized Comp Carbon Fatbike And A Thule Chariot Lite Kid Trailer? Will you ship the item to Finland and what does it cost? Unfortunately this item is unlikely to be suitable as it is designed for use with the BOB trailers that use a very different fitting to the Thule Chariot trailers.